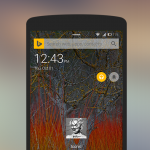 Picturesque lock screen makes your lock screen lively by setting your lock screen wallpaper using Bing Images. 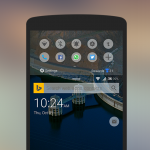 Apart from making the lock screen lively it makes you productive by helping you search, find and open apps, contacts, browser favorites and bookmarks right from the lock screen. 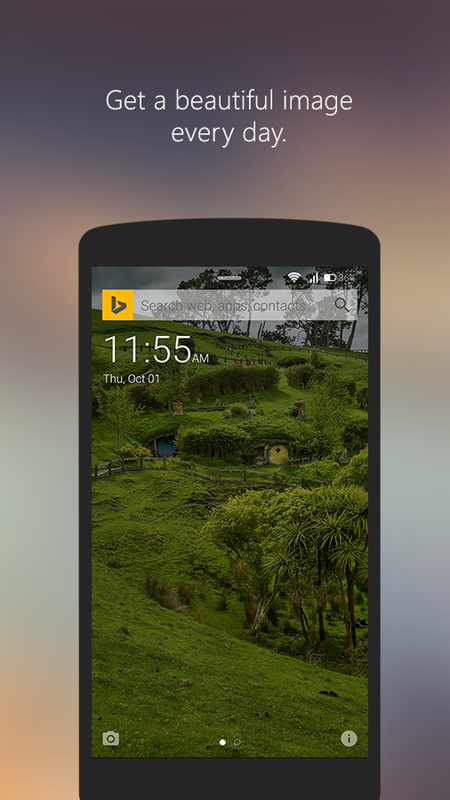 If you loved the universal search on Cortana, chances are that you love the same feature through this lock screen. 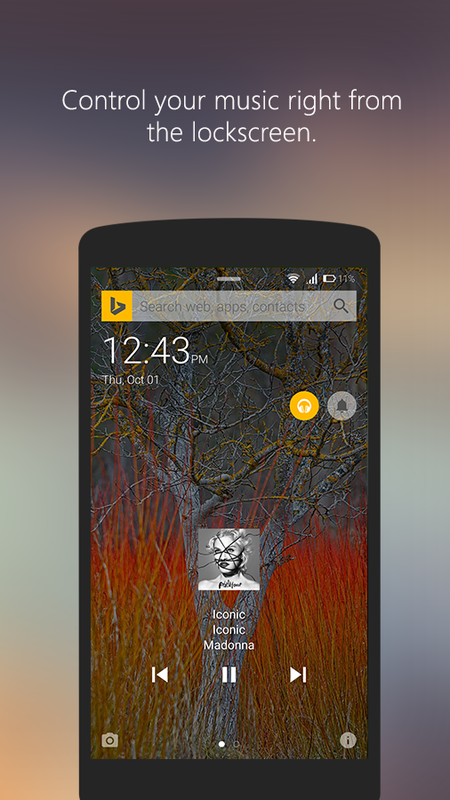 • Beautiful Bing images – Make beautiful Bing images as your lock screen wallpaper. 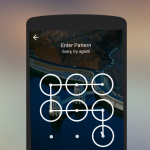 Control the images right from the lock screen by using the info button. 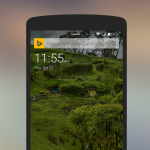 Click to change images, pause images, delete images and also search more about images from the lock screen. 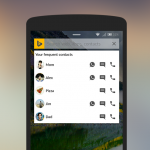 • Bing rewards – Earn Bing rewards for the searches done on the app (feature available only in the US). 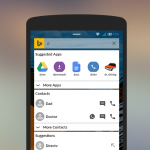 • Universal Search – If you have loved the universal search on Cortana from Microsoft, chances are that you would have wanted the same on Android. 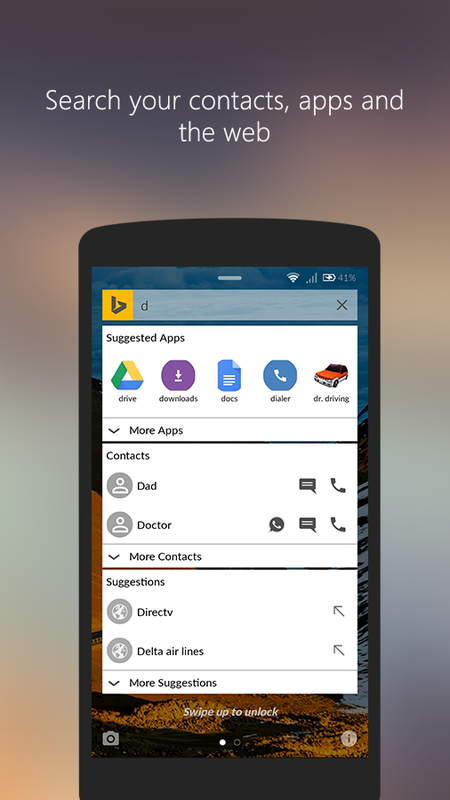 Picturesque helps you find Apps, Contacts and frequent and bookmarked websites right from lockscreen. 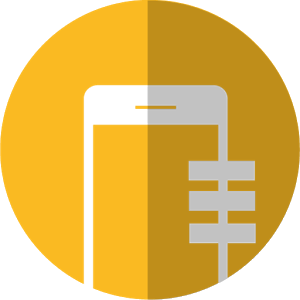 • Proactive Suggestions on Lockscreen – Find frequent contacts to call, message, whatsapp with one touch of the search bar on the lockscreen. 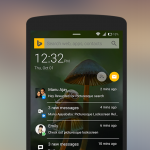 • Notifications – Find notifications from all apps organized for your convenience. 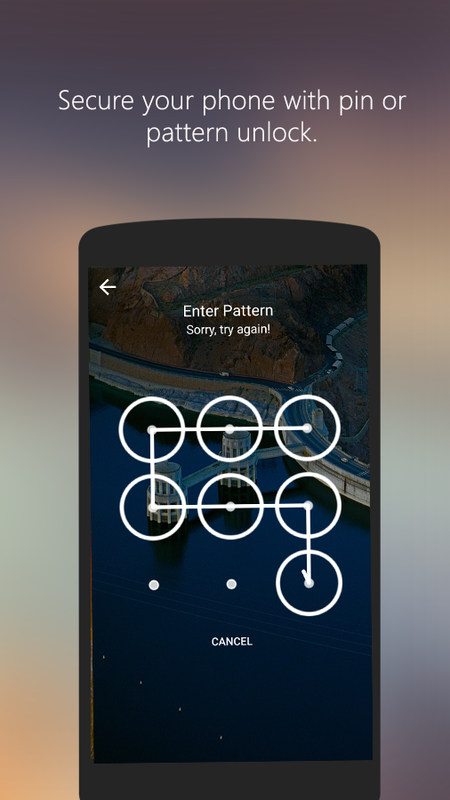 • Security – Enable pin, password and pattern lockscreen to secure your phone. • Music – Control your music player right from the lockscreen. • Sports – In a meeting? Frustrated to check the latest Cricket scores? 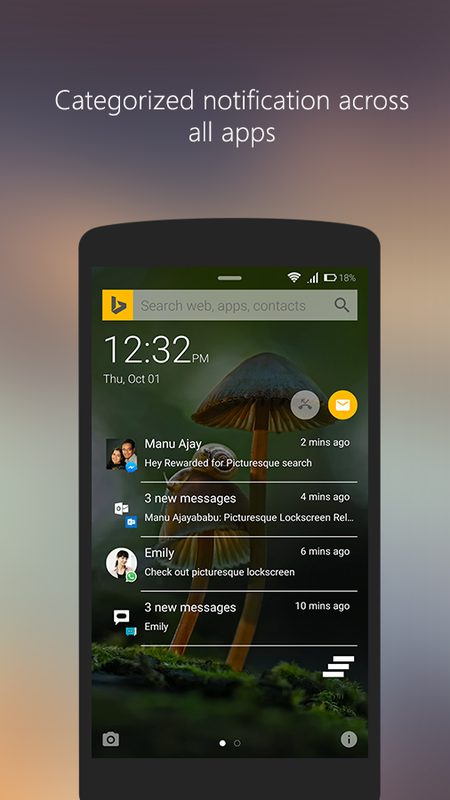 Just check the lockscreen to see latest scores with a single glance. 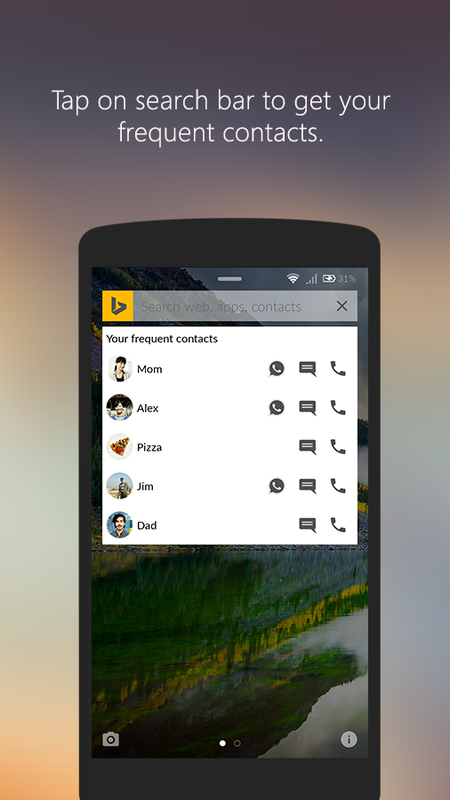 • Quick Shortcuts – Pull down to access Wi-Fi, torch, brightness etc. 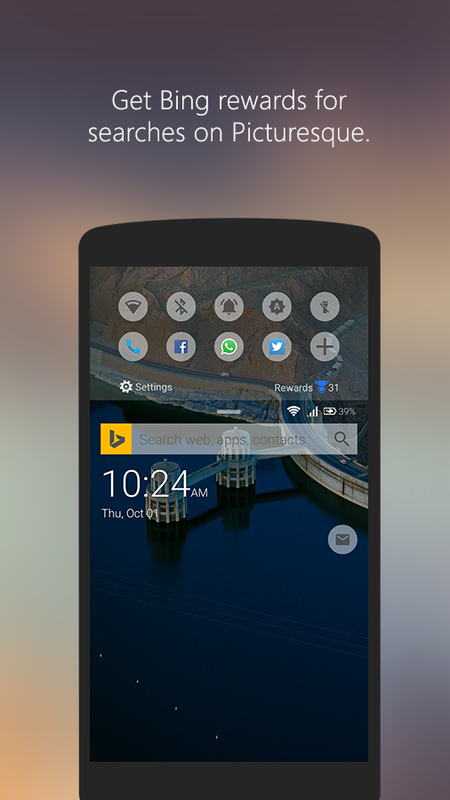 along with your favorite apps right on the lock screen. 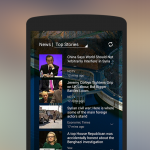 • News – Swipe left for latest news by category. 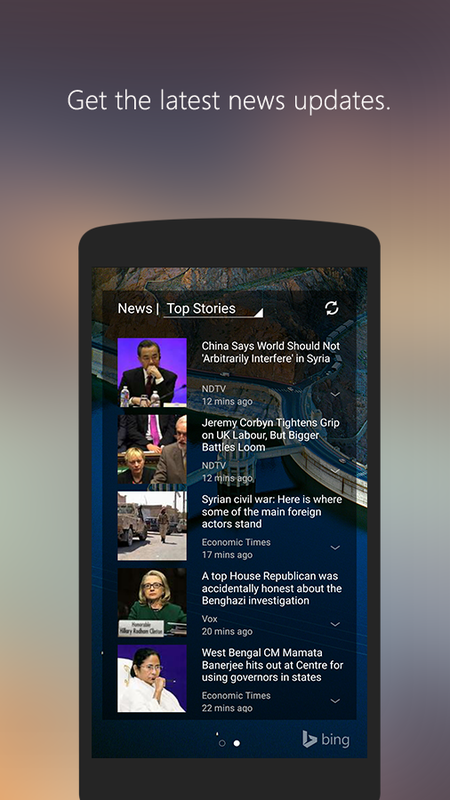 Read short preview and full news on the lock screen.